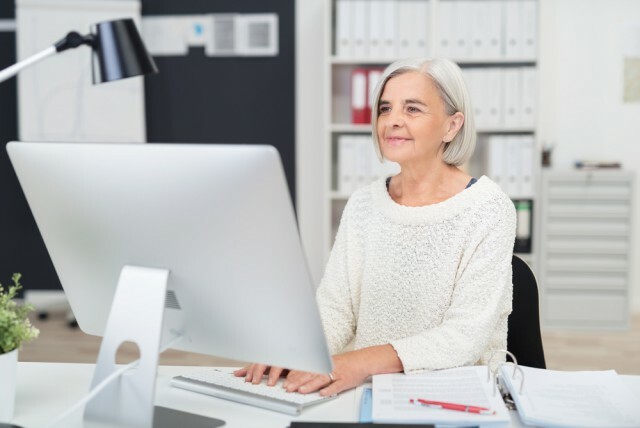 A trend that's already started and will continue for at least the next decade is the loss of skilled workers as older employees start to retire. The effects are being felt across industries, with Gartner reporting the aging workforce as one of the biggest challenges to the utilities industry. What's more, the skills gap resulting from retiring employees leaving and entry-level employees entering the workforce is causing all industries to look at new solutions to solve the need for experienced and highly skilled workers. New technologies are gaining traction to help address low staffing levels and improve productivity. We spoke with John Fryer, senior director, industry solutions at continuous availability specialist Stratus Technologies, to learn how companies can overcome staffing challenges and embrace these new technologies. BN: What are the top challenges when it comes to today's aging workforce? JF: Career paths and retirement plans used to be much more predictable, driven by a defined benefit pension plan. Workers are now retiring later and relying on 401(k) plans, which causes a ripple effect in how many junior staff are brought on board to be trained as replacements, without knowing when they will be stepping into a position. What’s happening now is that more workers are of retirement age, but companies have not kept up staffing levels to address the sudden gaps. The main challenge is the loss of skills from one generation to the next, as the older generation begins to move out of the workforce. Staffing levels are at an all-time low across the industrial sector, so when workers decide to retire, it's more difficult to hire a replacement and train them with enough time to transfer vital information. Skills are gained over years and decades, and sometimes can't be quickly or easily replicated by junior employees without side-by-side training. This causes a lag in productivity and gaps in knowledge when new hires enter a position that relies on historically manual tasks and decades of experience. BN: How can companies address these deficits? JF: Automation is the answer. Technology is the best way to compensate for the decline in staff and historical knowledge, as automating jobs and daily processes no doubt increases efficiency. In industrial environments for example, jobs that once relied on manual data collection and analysis can now be automated to crunch numbers in real time providing accurate analysis on which systems are underperforming or which could be updated to improve productivity. Technology like wireless monitoring instruments can automatically collect data for predictive maintenance analytics to anticipate problems before they occur, cutting significant time and cost from traditional maintenance practices. These innovations perform the same tasks faster and at a fraction of the cost, giving employees more time to focus on critical job functions that require human intuition and guidance. BN: What are the benefits of automation to tackle these challenges? JF: The greatest benefits of automating specific jobs are recovering time and saving costs that were previously spent on outdated practices. New employees can be on-boarded in a matter of weeks or months, rather than being trained over a span of years. Companies that invest in automated systems for monitoring, data collection, and analysis ultimately save time and money by improving worker productivity. By moving away from historical approaches to one that trains employees to use automated systems, more employees can absorb a variety of skills that will overcome any generational loss of knowledge. Equipment still has to be physically maintained, but automated systems can help to pinpoint and predict failures saving time in diagnosing issues. BN: What advice would you give to companies who are faced with the transition to automation? JF: My advice is to do what makes sense for your employees’ needs and proactively address any anticipated breaks in productivity due to workforce turnover. Implementing automated processes does not necessarily mean replacing a job; it means reallocating that workers’ time to a more productive task that saves time and increases efficiency within the plant. This is a challenge that almost every company is facing, and it is important to embrace the trends of the future and begin the transition to a more automated workforce. BN: How do you see automated technologies evolving over the next 3-5 years? JF: I see automated technologies evolving in the next few years to streamline tracking processes and data analytics, giving time back to workers to focus on the next phase of innovation in their industry. With more data and insights than ever before, companies are also learning how to harness these analytics for rapid growth. As automated technologies like predictive analytics and monitoring systems advance, there will be more opportunity to address challenges and adapt for long-term success.